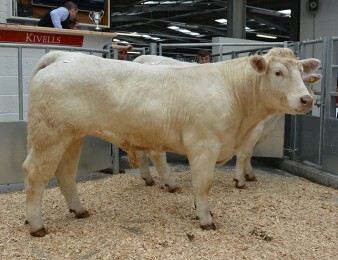 A small but high-quality offering of Charolais bulls saw a high of 4,400gns at the South West Charolais Association’s annual sale at Holsworthy on Wednesday 13th April, where bulls averaged £3,159 with a clearance rate of 75%. Leading the bids at 4,400gns was the May 2014-born Trenestrall Jack sired by Springfarm Eldon and out of a homebred dam going back to Mowbraypark Topredo. Jack caught the eye of B Clarke, Doddiscombleigh, Exeter and was bred and exhibited by Will Palmer and Son, Truro, Cornwall. Mr Palmer took two others which also went home with new owners. First going for 3,200gns was Trenestrall Joode, a 22 month old son of Westcarse Beefy who was purchased by Messrs Hembrow, Braddock, Cornwall. Minutes earlier Messrs Smallwood, Germansweek, Devon snapped up Mr Palmers’ other entry Trenestrall Jivago, another 22 month old this time sired by Mortimers Cosmo at 2,300gns. 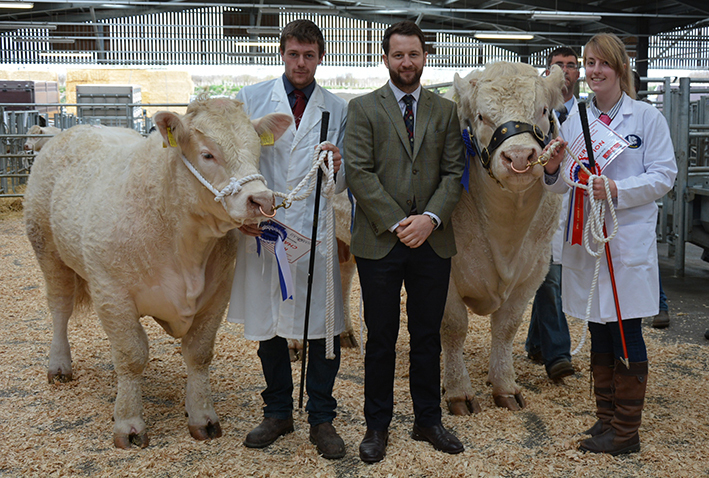 Next at 4,000gns was the Champion, an entry from John Wylde, Woolavington, Somerset. 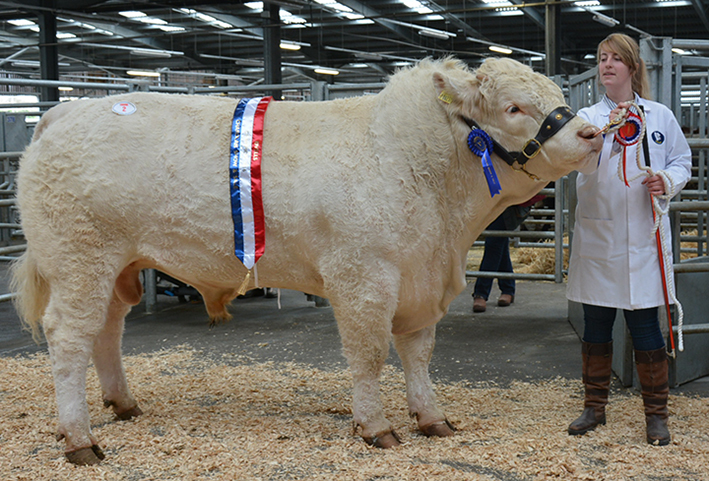 The April 2014-born Martland Justabout, a son of Skysea Fearless and out of Champflower Cilla – who will be sold at the Martland herd dispersal sale next month – went home to Lifton, Devon with Messrs Batten. Leading the bids for the females at 1,550gns was the blue ticket winner Marne Jewel, bred and exhibited by Robert Tremayne. Jewel, a 25 month old heifer sired by the Black Isle Show champion Lochend Apache was purchased by DP Daniel, North Pentherwin, Cornwall. Mr Daniel also took home the class winner Marne Jennica for 1,500gns, an April 2014-born out of the same sire and exhibited by Michelle Hanson, Wendron, Cornwall. Finally two young heifers sired by Balbithan Eira and shown by David and Bernadette Stacey, St Austell, Cornwall, also found new homes. First at 1,300gns was the 14 month old Polgoda Lily TI +42 SRI +43 stayed local going to Truro with EP Loader and the 13 month old Polgoda Lavendar was snapped up for 1,200gns by EC Haste, Beaworthy, Devon.